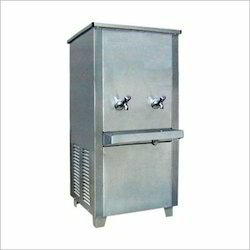 Our organization is among the leading names in the industry for manufacturing and supplying Softy Machine. 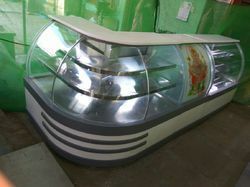 The offered machine is made in compliance with the latest market trends and is widely demanded in ice cream parlors, restaurants and canteens. 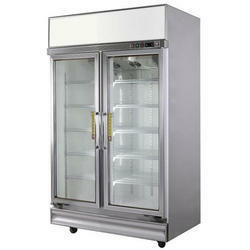 It is capable of holding large amount of ice-cream and maintains the required temperature remarkably. Our organization is among the leading names in the industry for manufacturing and supplying Softy Making Machine. 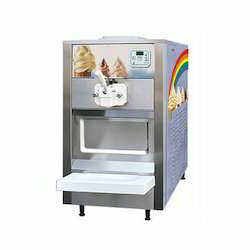 The offered machine is made in compliance with the latest market trends and is widely demanded in ice cream parlors, restaurants and canteens. It is capable of holding large amount of ice-cream and maintains the required temperature remarkably. 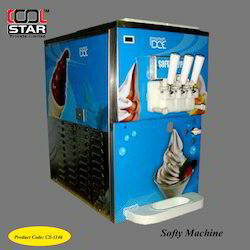 We are engaged in manufacturing and supplying Softy Vending Machine for our clients. 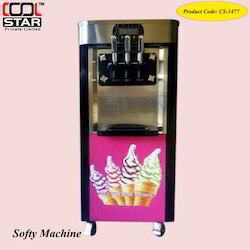 The offered softy machine is impeccable in terms of performance and is used for offering ice creams in cones. It is made from high grade materials and is ideal for continuous use. The offered machine is power efficient and can be operated with optimum ease. Dimension: 48" X 30" X 85"
Dimension: 78" X 30" X 84"
Dimension: 50" x 30" x 78"
Cool Star offers high quality Ice Crusher Machine that can meet your different ice crushing requirements. 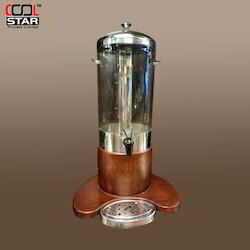 Cool Star ice crusher has got the below three main categories to handle any form of ice crushing needs. When block ice crusher is aligned with cube ice crusher, it then will become a perfect snow making machine, and surprisingly the crushing material is block ice. The Modular design makes easy & safe operation. Stainless steel materials ensure sanitary and reliable ice crushing. Crush ice twice can make for the ideal crushed ice. Make sure what kind of ice you want to crush and how much you want it to be crushed. Verify the size of ice before and after it is crushed. 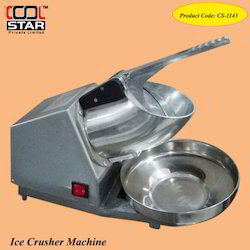 Cool Star offers high quality Ice Crusher Machine that can meet your different ice crushing requirements. 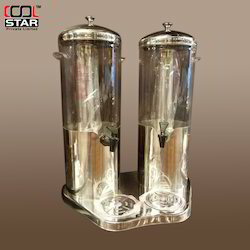 Cool Star ice crusher has got the below three main categories to handle any form of ice crushing needs. When block ice crusher is aligned with cube ice crusher, it then will become a perfect snow making machine, and surprisingly the crushing material is block ice. 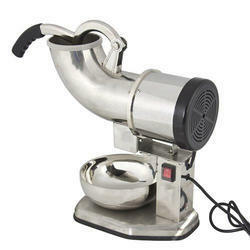 The Machine is used to extract fruit juice, fruits, vegetables, malt sprout juice, sauces and liquid food making etc. 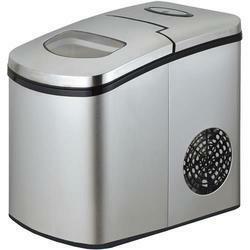 The panel is made of R304 stainless steel which is high-grade and easy cleaning. Red copper evaporator conducts cool air very fast. Our models are very complete from 9L to 50L. We supply cooling function machine, heating function machine and both cooling and heating combination one. All can match with mixing and spraying function. We have been in this line for about 10 years, our customers are over 20 countries. We always supply the best service after sale. Make - Scotsman / Manitowoc. Cabinet construction of durable rust free Stainless Steel and rotocast plastic. Air cooled technology - Condenser type..
Utility Connection is provided at the rear of the machine. 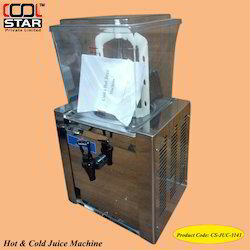 Machine available in Ice Cube shapes various capacities. 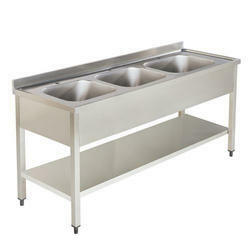 Dimensions 30" x 20" x 24" 30" x 27" x 30" 40" x 27" x 64"
Bain Marie offered for outdoor catering Banquets..
Dimensions: 32" x 27" x 26"
GN PANS: 1/6 X 4"=8pcs, 1/3 X 4"=6pcs. Temperature: Temperature range may vary depending on the external conditions. Sizes can be customised according to the customer requirement. Cool Star Provided maximum visibility range of shelves for displaying products. Evaporator and the use of inner duct for suction provided in the machine. Air Curtain provides uniform velocity of air to maintain temperature. Eco Micro controller is equipped in the machine. Defrosting Ferm.Compr./ Stop Compr. Ferm.Compr./ Stop Compr. 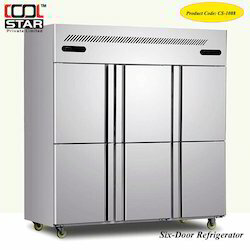 Coolstarcompany Sizes can be customised according to the customer requirement. 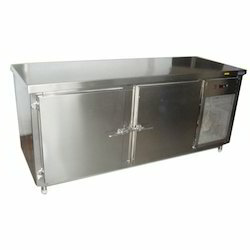 Undercounter Refrigerator ideal for Hotels, Restaurants, Food courts and Fast foods. 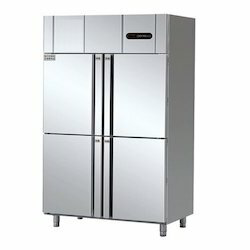 Looking for Commercial Refrigerated Euqipments ?